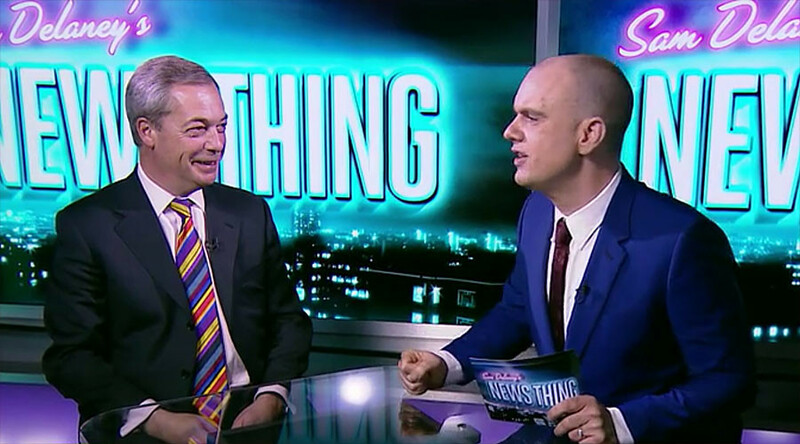 The former UKIP leader has revealed the events leading up to his dinner engagement with Trump, explained why peace with Muslims is important and insisted he is not “gagging” for knighthood as he appeared on RT’s News Thing. Nigel Farage, the face of the Brexit campaign, told host Sam Delaney about his “unplanned” dinner with the president last month which whipped up a media frenzy when Farage posted a selfie of the occasion online. Farage explained he missed his flight home after a tricky meeting at the White House where it took him two hours to be cleared by security. He went back to his accommodation at the Trump Hotel and was sitting at the bar when Trump walked in. The president questioned why Farage was there to which he replied, “You told me this is the best hotel in world – I’m staying there,” the MEP recalled. Trump then invited Farage to join his table where the Brit feasted on prawns and salmon, and Trump paid the tips afterward. “He’s one of the few people I’ve ever met that makes me feel like an introvert,” Farage, who is well-known for his provocative remarks, said. Farage stopped short of divulging the details of the conversation at the dinner table, however. However, he insisted during the interview that he does not want to go to war with Muslims and highlighted the importance of education around multiculturalism in the classroom. “The one thing I don’t want us to along with… is that we go to war with the religion of Islam. We’ll stir up horrible problems for our kids coming down the track. So, I want us to work with the Muslim community to make sure that the good guys are all on our side,” he said. The former UKIP leader also brushed off media speculation that was he pushing for the Queen to grant him a knighthood. “I’m not gagging for knighthood. I was approached by a group of people, who said that we’re going to lobby for you to become a peer; to become a lord. And I said: ‘Don’t waste your time, I wouldn’t accept it anyway,” he explained. He did object, however, to the perceived bias in the granting of CBE’s (Commander of the Most Excellent Order of the British Empire) noting that nobody on the Leave side of the Brexit campaign received the Queen’s honor.